I have over the years acquired some odd bits and pieces, and I thought I’d document some of the more unusual ones here. 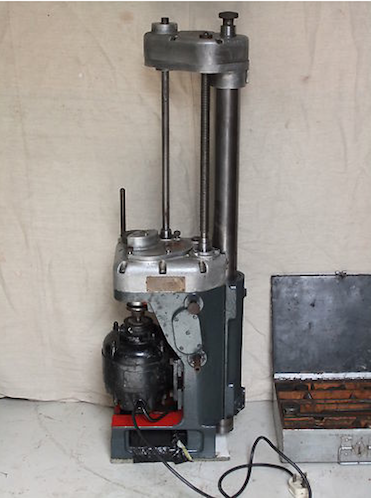 First up is a 1949 Whatton Boring Bar, which is a pretty rare portable UK designed boring machine. It had a few clever touches, and a patent busting feature that the more common Van Norman didn’t have. Information on the Whatton or Wandess as it was later known is scarce on the internet, so I will post a few pics to up the ante. This is what I managed to find just recently. The motor was off, because it needed a rewind, and I’m not sure if the one above had an on/off switch. 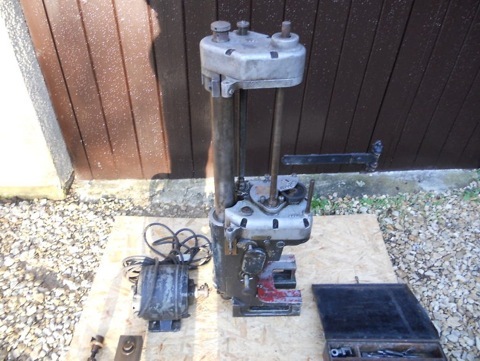 The one I won, had a blank plate with the on/off switch removed, which kind of explains the gearbox damage, although some of this was due to a foreign body. They were usually painted in two or more colours, as seen above, but I have decided to strip it back to bare aluminium, which was feature of the later Wandess model. Wandess was a corruption of Whatton and Sons, which transformed into W and eSs. 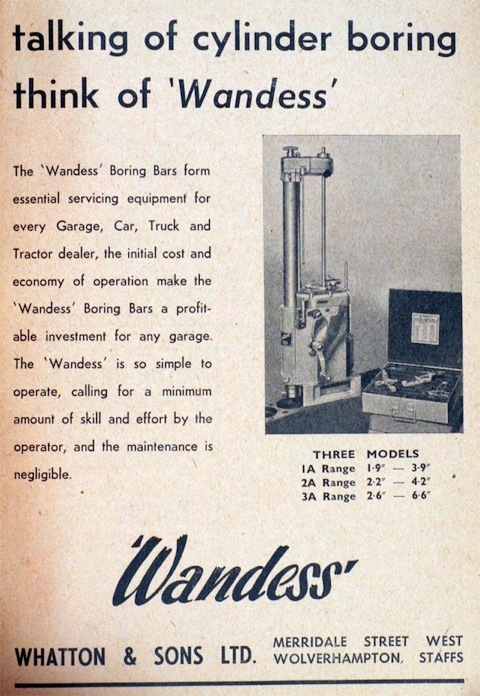 The later Wandess also had a name badge riveted to the front of the casting, as seen in this 1950s Motor Show advert, whereas the Whatton didn’t. This is the raw casting, without motor or boring bar fitted. It is being cleaned and refurbished at the moment, but you might notice it is essentially an aluminium casting with cast in steel soleplate. 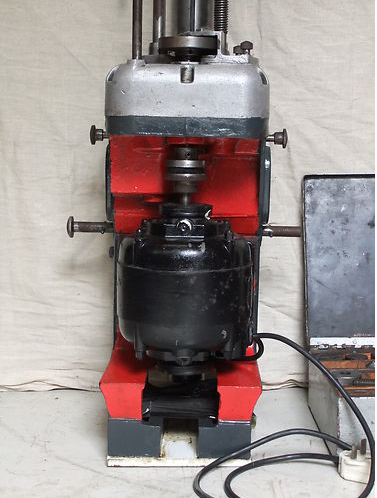 This made the boring machine lighter than its competitors, but I think I read somewhere it wasn’t far off 77kgs in total, which is not light at all. The boring bar itself is surprisingly heavy, but very rigid as a result. 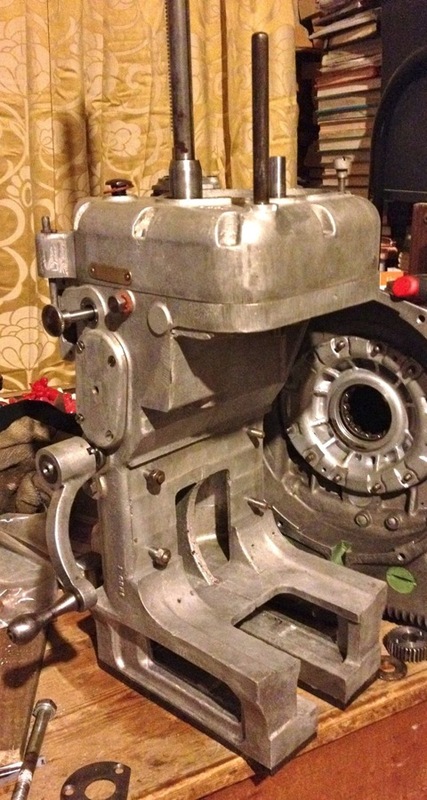 It normally has a 1400 rpm AEI motor fitted, usually 240V single phase and around 1/4 horsepower or 180W. 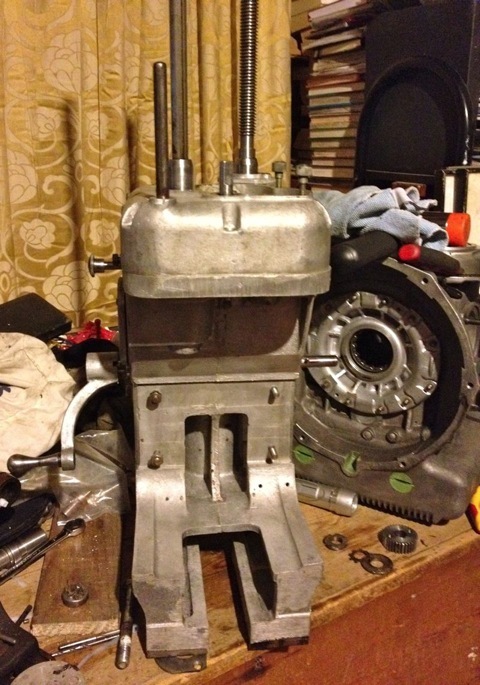 The original motor needs a rewind, but hopefully over the next few days I might find another one in good condition. I also need some imperial woodruff keys for the change wheel motor gears, various Whitworth fasteners, and will make a few shims on the lathe to finish it off. 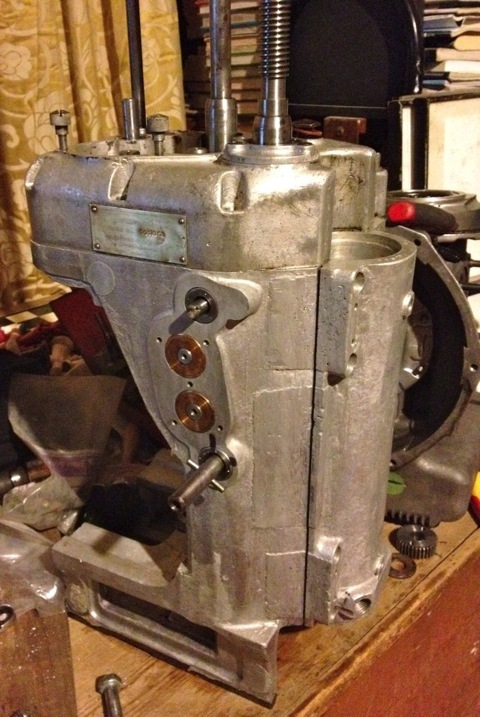 The gearbox is all functioning properly, so I now have a smoothly selectable two speed feed rate and a cog swapping two speed boring head tip speed function, which is needed as the boring bar covers 2.2”-4.2” diameter bores, and the tip speed would be too high at the larger sizes if it was just one speed. I will add more pictures, and a separate sub section as I build it up.